Finished on Friday but didn;t have a chance to photograph it. The light was crappy today too, actually light is crappy most of the time in our old house with small windows, but that’t why photo editing was invented, no? This one is for a teacher too – all 4 teachers are getting pillows this year. I think I did it last year too; good that all the teachers are different this year! For some details – 7×7, 3×3 in squares (finished). Quilted on both sides of seam lines. I think less quilting on this one is better. I make my own pillow inserts. Two reasons: first, a huge (and I mean ‘huge’) bag of pillow filling was about $ 20 down in the Fashion District, and second… I can make any size I want. Ikea fabrics for the back. And a zipper under the flap again. My son really likes it. He asks me every day when we’re taking it too school to give it to his teacher. Cute. 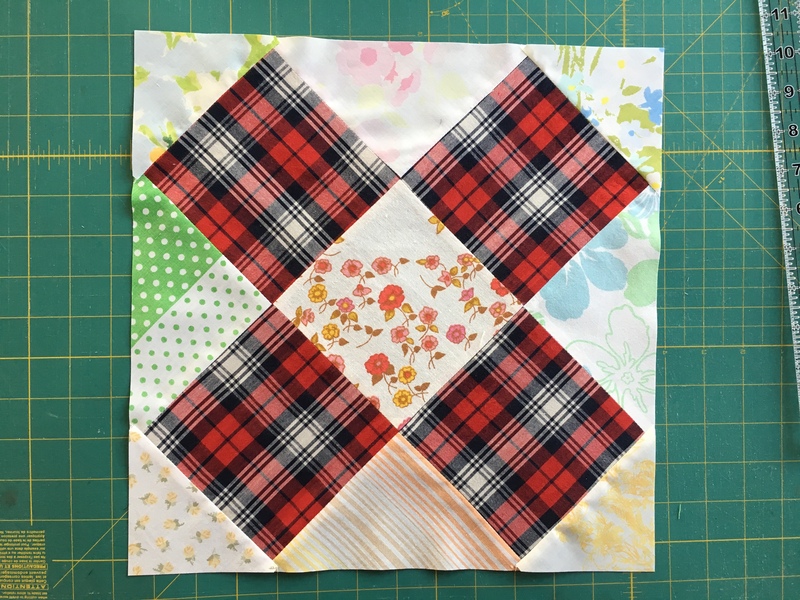 This entry was posted in pillow, quilting and tagged Korsa Pillow on December 18, 2012 by flekka.